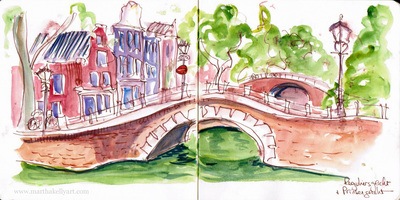 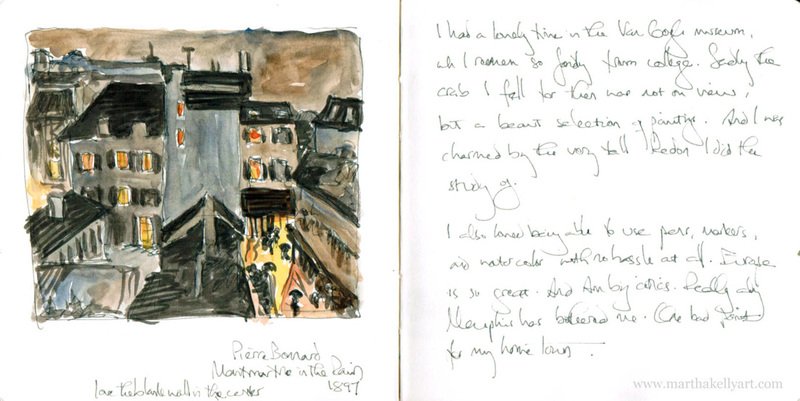 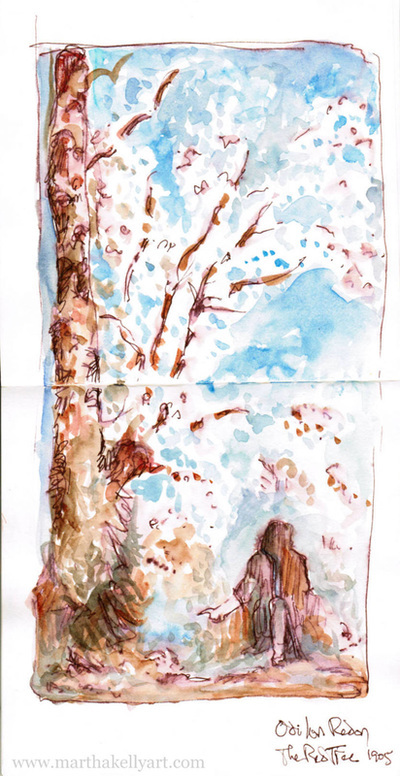 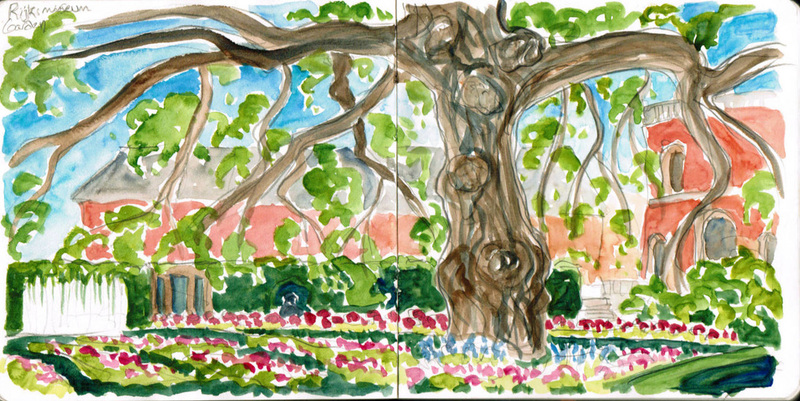 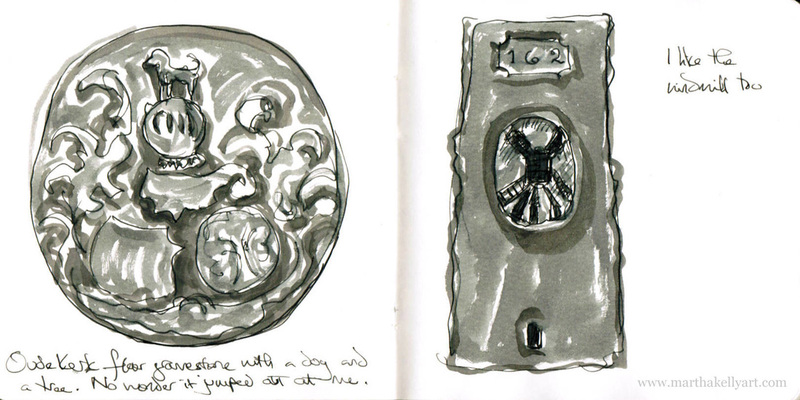 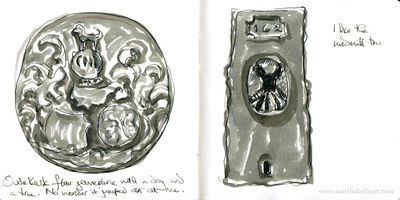 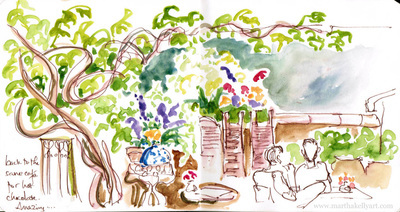 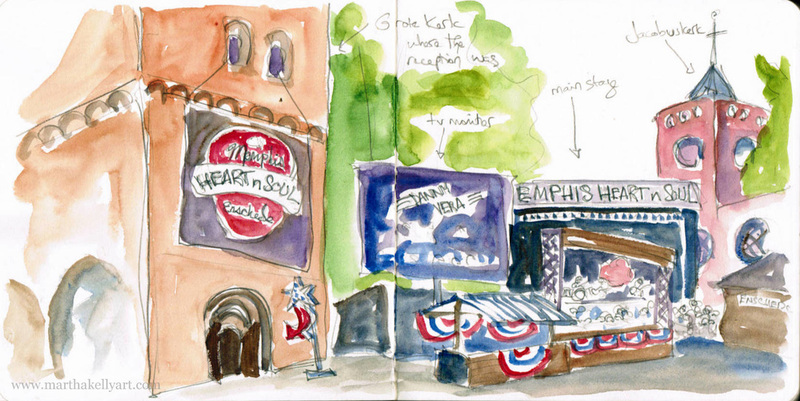 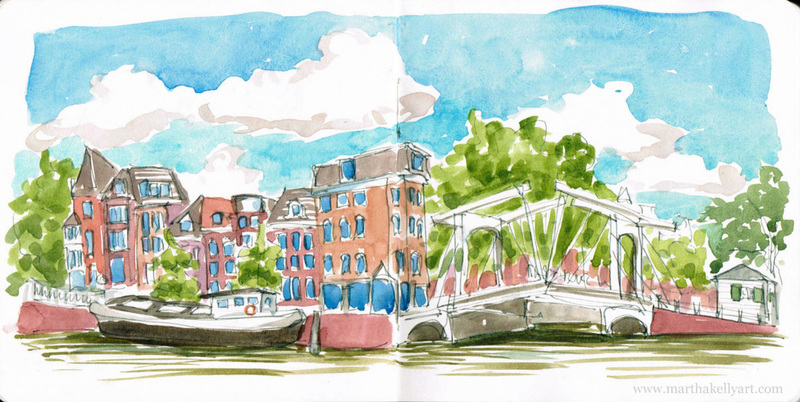 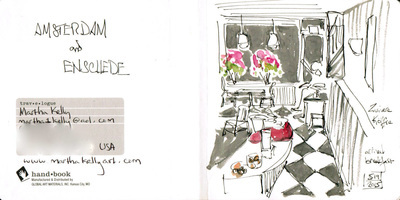 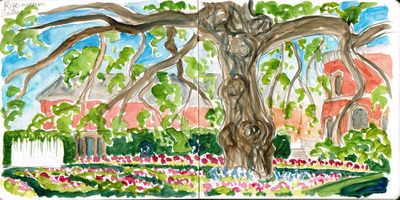 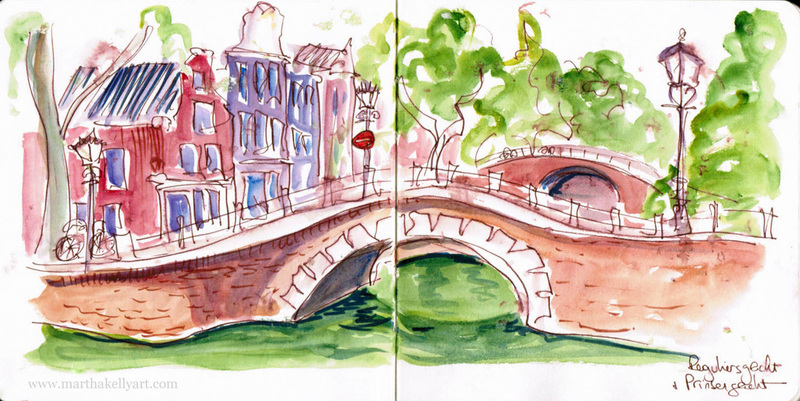 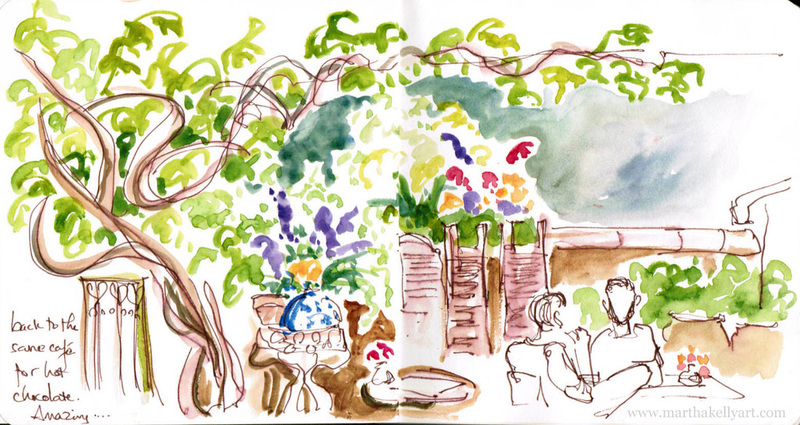 Here is my entire travel sketchbook from Amsterdam and Enschede in May, 2015. 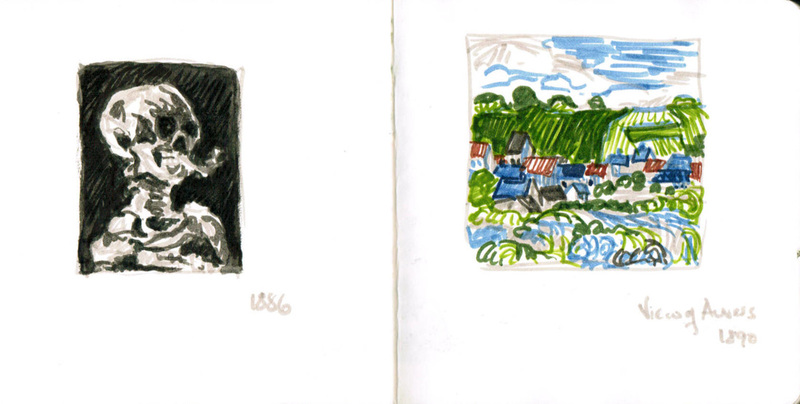 It was a family trip with my parents, five days on the ground. 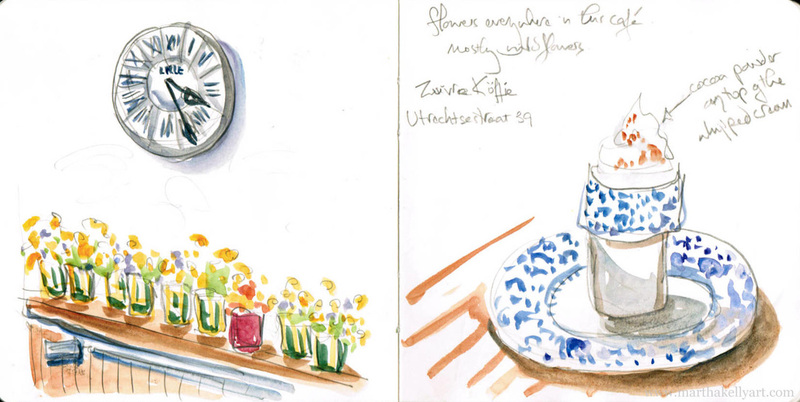 It appears that I'm a bit of a workaholic. 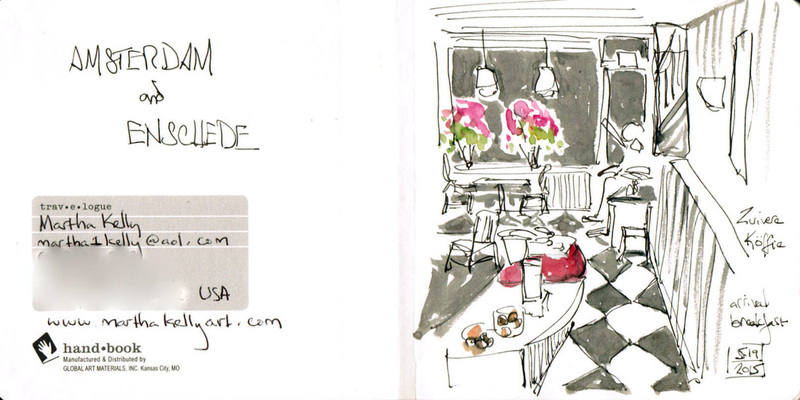 But I love what I do so much that I do it on vacation too. It's a smallish sketchbook, as you can see at right, and an even smaller watercolor kit (inside a tiny Altoids tin). 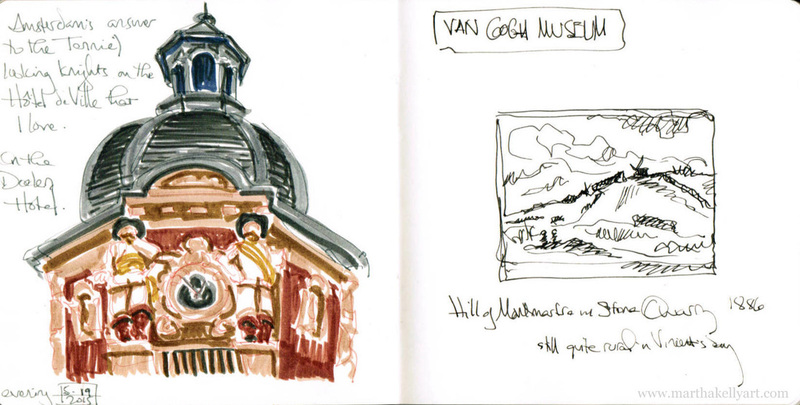 A few of the sketches are marker or ink instead of watercolor. I had a lot of fun doing fast sketches and using images instead of words to really record what we did each day. 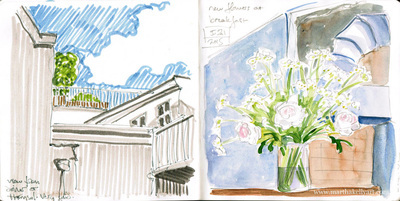 A couple of days I managed hot chocolate while sketching for a marvelous double whammy of goodness. 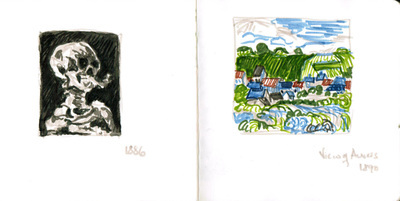 Hover your mouse over the images to see captions containing more information each sketch (or at least most of them). 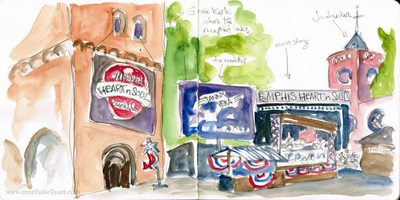 You can also read more narrative and see some photos sprinkled in on my blog posts about the trip. Amsterdam, Zuivre Koffie, Oude Kerk, Van Gogh Museum, Memphis Heart 'n' Soul festival in Enschede, and De Weele, about our revisiting our hosts from a 1982 exchange trip.